Also called the Rayevski battery after the Russian general who supervised its construction and defense. 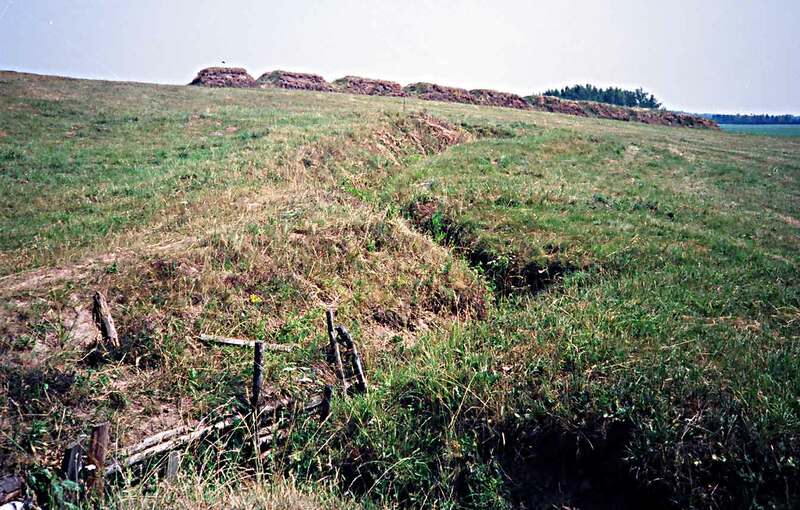 This position on the military crest was the only significant fortification in the Russian line. It was an effective emplacement for artillery from which the Russians managed to repel repeated French attacks on the most critical right center section of their front. It was finally taken, forcing the Russians to withdraw. Note the entrenchments from World War II in the forground.